Acne Clinic: How to get rid of Acne? Acne is a skin disorder that happens as a result of the action of hormones and other substances on the skin’s sebaceous glands (oil glands) and hair follicles. It occurs on the face, the neck, chest, back, shoulders and upper arms. It results in skin conditions such as plugged pores (blackheads & whiteheads), inflamed pimples (pustules) and deeper lumps (nodules & cysts). Severe acne can lead to permanent scarring. Although not a severe health threat, this skin condition can be disfiguring and can be a source of significant emotional distress for you. It reduces your confidence level and is considered to be one of the common causes of embarrassment and social withdrawal. You may feel like you are the only one with the bad case of Acne. But many people suffer from it. Acne or Pimples is one of the most common skin disorders affecting nearly 70%+ of the world population. Acne can occur at any age. Young men are likely to have severe, longer lasting acne. In contrast, young women are likely to have occasional acne due to hormonal changes associated with their menstrual cycle and caused by cosmetics. While men and women equally can get acne, some women get acne when they reach middle age. 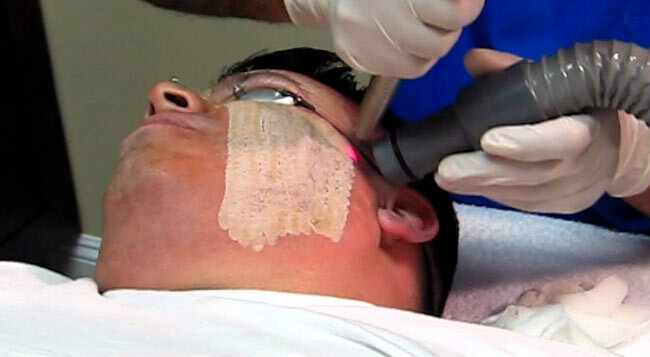 Using the above techniques, acne is treated in two step process, first by destroying the bacteria within the affected area and then by stimulating the collagen production thereby accelerating the natural healing process. Call 1800 102 3789 (Toll Free) or write to our Dermatologist near you and see how they can help you with Acne treatment.